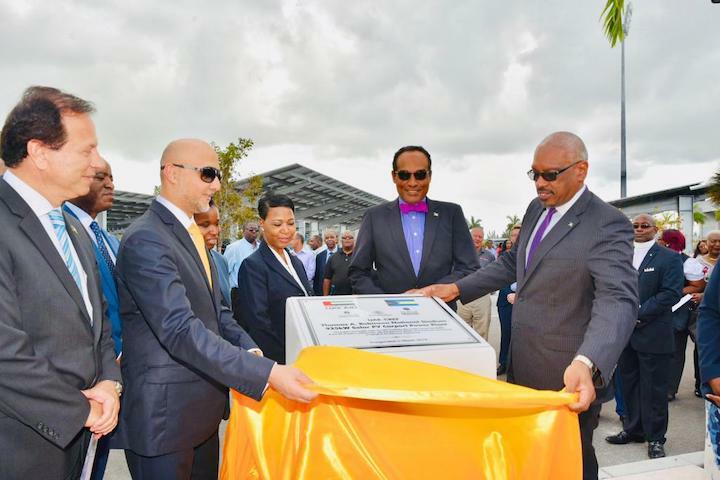 NASSAU, The Bahamas – In keeping with the government’s agenda of pursuing alternative energy resources, a new solar park has been opened. The government of the United Arab Emirates has facilitated the park, which is located at the Thomas A. Robinson Stadium. An official opening ceremony was held at the site on Monday, March 18, 2019. Developed in partnership with the Bahamas Ministry of Environment and Housing, with initial concept support from the Rocky Mountain Institute -- the project additionally serves as a carport with 342 parking spaces, including two spaces that are equipped with fast-charging electric vehicle charging stations.